The U.S. Supreme Court has confirmed that the National Labor Relations Act does not create exceptions for the enforcement of collective action waivers in employee arbitration agreements. Although unequal bargaining power in an employer-employee relationship remains, lawyers representing employers and employees must decide how and when to implement or to challenge such waivers. In one of its more anticipated employment law decisions in recent memory, the U.S. Supreme Court ruled in Epic Systems Corp. v. Lewis6 that employers may nevertheless require employees, as a condition of employment, to enter into arbitration agreements that contain waivers of the ability to participate in collective actions, without violating section 7 of the National Labor Relations Act (NLRA).7 The majority opinion in the three cases consolidated for review concluded that the Federal Arbitration Act (FAA)8 governs the enforceability of such waivers. As a result, efforts by these employees to litigate FLSA wage claims through collective actions in federal court are barred. What should Wisconsin lawyers who represent employers who have or are considering implementing collective action waivers do now? This article addresses three key questions that Wisconsin lawyers representing employers and employees should consider for their clients with or contemplating employment-related mandatory arbitration agreements with collective action waivers after Epic Systems. In 2012, the National Labor Relations Board (NLRB) held in D.R. Horton Inc.9 that workplace class action waivers were inconsistent with the NLRA. In Lewis v. Epic Systems Corp.,10 the Seventh Circuit created a conflict with three other circuits that had considered the issue after D.R. Horton by concluding that class action waivers in arbitration agreements between employers and employees violated the right of employees under NLRA § 7 “to engage in other concerted activities for the purpose of … mutual aid and protection.”11 The U.S. Supreme Court granted certiorari in three cases to resolve the split among the circuits. edu douglas.smith marquette Douglas O. Smith, Marquette 1983, is an assistant professor of practice and an adjunct law professor at Marquette University. The majority opinion concluded that there is no conflict with NLRA § 7 because the NLRA “does not express approval or disapproval of arbitration;” “[i]t does not mention collective action procedures;” and “[i]t does not even hint at a wish to displace the [FAA] – let alone accomplish that clearly and manifestly, as our precedents demand.”18 The majority also noted that NLRA § 7 does not cover collective actions but only “things employees ‘just do’ for themselves in the course of exercising their right to free association in the workplace.”19 As a result, the majority opinion suggested that there is no right under NLRA § 7 to pursue class actions in court or class arbitrations. Attempting a waiver of collective action rights independent of an arbitration agreement now should be avoided unless a client is prepared to become a test case in court on the issue. Lawyers should consider three questions when applying Epic Systems. The first issue employers should consider is whether to retain or adopt limits on the scope or nature of arbitration agreements that waive collective actions. Arguably, there is no longer any reason an employer cannot require employees, as a condition of employment, to exchange their right to bring collective actions under federal, state, and local employment laws for an individual arbitration. Requiring a waiver of collective actions separately from an arbitration agreement covered by the FAA could prevail under the logic of the majority’s conclusion in Epic Systems that there is no right under NLRA § 7 to pursue collective action in any forum, but such a definitive holding remains in the future. Attempting a waiver of collective action rights independent of an arbitration agreement now should be avoided unless a client is prepared to become a test case in court on the issue. Wisconsin employers might not have waived their right to compel arbitration if they failed to do so after the Seventh Circuit decision in Epic Systems on May 26, 2016. Courts have recognized that a party’s right to compel arbitration is revived when a change in relevant law converts a previously futile motion to compel arbitration into a legally cognizable one.26 Such cases provide the basis for a motion that Wisconsin employers did not waive their rights to compel arbitration by failing to do so in reliance on that now-overruled decision. Employers must still weigh the potential benefits against the potential risks of arbitration, however. Benefits such as faster and less costly resolution of claims, more limited and predictable awards than those provided by juries, and higher levels of confidentiality could be offset by high arbitration filing fees, arbitrator expenses, the lower likelihood that dispositive motions short of hearing will be granted, and the risk of multiple independent arbitration demands by individual employees made in concert with one another to improve settlement leverage against the employer.27 Employers should evaluate their own litigation experience and potential risk to determine whether the negative effects of arbitration would offset the possible benefits of requiring such claims to be brought in court. Counsel for employers should consider whether the arbitration provision should be written to require that, if any part of the arbitration provision, including the collective action waiver, is invalid, the entire provision is invalid. An employer’s primary purpose for a mandatory employment arbitration agreement may be to limit the risk from FLSA class actions. If so, employers should consider limiting the scope of arbitration, and consequently the collective action waiver, to FLSA wage and hour claims similar to those brought in Epic Systems28 and otherwise available under Wisconsin law.29 In this way, employers can still take advantage of the holding in Epic Systems while avoiding litigation challenging mandatory arbitration when claims under other employment-related statutes are brought. Employers should note that, if the Court revisits Epic Systems and adopts Justice Ginsburg’s view of NLRA § 7, the arbitration provision could be enforced but the collective action waiver would not. Arbitration programs without collective action waivers would leave employers open to “class arbitrations,” which “sacrifice the principal advantage of arbitration – its informality – and make the process slower, more costly, and more likely to generate procedural morass than final judgment.”30 The result would be exposure to the full measure of damages suffered by the class without any of the statutory and evidentiary protections and rights of appellate review that exist in litigation. Counsel for employers should consider whether the arbitration provision should be written to require that, if any part of the arbitration provision, including the collective action waiver, is invalid, the entire provision is invalid. This will avoid the possibility of class arbitrations. Finally, if an arbitration provision allows the arbitrator to determine the validity of the collective action waiver, the employer may lose the benefits of Epic Systems. The arbitrator’s decision would then be unreviewable by the courts with limited exceptions.31 An arbitration clause that requires that decisions about the arbitrability of a dispute be determined in court, not by an arbitrator, will maximize the likelihood that the collective action waiver is implemented. 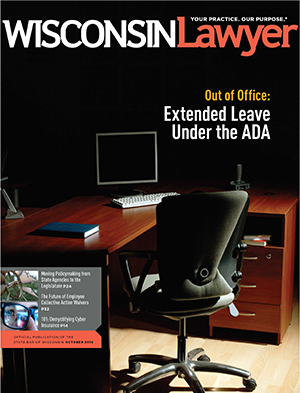 The second issue is whether employees still can challenge enforcement of collective action waivers. Justice Gorsuch acknowledged in the Epic Systems’ majority opinion that “Congress is always free to amend this judgment,”32 and doing so here would not be the first time that Congress has overturned the Court’s interpretation of an employment statute.33 Given the slim margin by which Epic Systems was decided, counsel must remain vigilant in following the law’s development in this area. The FAA’s savings clause continues to permit challenges to the enforceability of arbitration agreements, and the related class and collective action waivers, for “generally applicable contract defenses, such as fraud, duress, or unconscionability.”34 Fraud and duress are difficult to establish in the typical employment-at-will situation, so unconscionability becomes the most common way to challenge a mandatory arbitration agreement. Fraud and duress are difficult to establish in the typical employment-at-will situation, so unconscionability becomes the most common way to challenge a mandatory arbitration agreement. Issues of procedural and substantive unconscionability could include 1) the inability of the employee to negotiate concerning the terms of the arbitration agreement and the collective action waiver, including having insufficient time to review and to evaluate the agreement before being made to sign; 2) any ambiguity or lack of understandability of the language of the agreement and waiver; 3) lack of consideration given by the employer; 4) limitations of liability or of remedies that would be available in court under the employment statutes included in the scope of the arbitration agreement; and 5) excessive costs borne by employees that would make the arbitration process effectively unavailable to employees. Each may offer the opportunity to mount a legal challenge consistent with Epic Systems.35 The prospect of motion practice to enforce mandatory arbitration provisions over any such well-founded objections may induce an employer to waive the provision in specific cases to avoid the resulting legal fees. The third issue for employers is to be aware of the types of collective action that are still viable after Epic Systems, despite an employee’s collective action waiver. Two key options may be considered. Agency-initiated actions are not affected, so both the U.S. Department of Labor and the Wisconsin Department of Workforce Development remain able to seek class remedies under the wage statutes that they enforce, even when the employees themselves cannot do so because of collective action waivers. Limited agency resources to pursue such actions restrict the effectiveness of this approach, however. Employees also remain able to bring multiple single-claimant arbitration demands against an employer, which could impose significant risk and cost on the employer. In addition to limited appeal rights and limited availability of dispositive motions, arbitration costs may be greater than the cost of defending against the same claims in a class action in court. Counsel should consider the extent to which threats to make multiple parallel demands for arbitration might induce an employer to forego enforcement of the collective action waiver.38 In situations in which employers have assumed responsibility under the arbitration agreement to bear the costs of administration and the fees payable to the arbitrator, the cost to the employer of prevailing on the collective action waiver may outweigh the costs of a one-time decision to forego enforcement of the waiver. While Epic Systems has now foreclosed challenges under the NLRA to collective action waivers tied to mandatory employee arbitration agreements, it is not automatic that employers should adopt or retain such agreements. Careful drafting and, in many cases, limiting the scope of these agreements to FLSA claims may serve an employer’s interests better. Employees may have little ability to negotiate or to refuse to sign such agreements because of the unequal bargaining power inherent in the employer-employee relationship, but they may still challenge such agreements based on unconscionability in Wisconsin courts. Counsel for employees may also be able to bring multiple arbitration demands that reduce or eliminate the cost advantage of arbitrations for the employer in many areas, including FLSA claims, and induce waivers of arbitration rights and even settlement of claims. The battle over the proper forum for the resolution of these claims by employees will therefore continue. What are the top two or three unconventional lessons you’ve learned about law practice or the law so far? The smartest boss that I ever had, who happened not to be a lawyer, told me that “I pay you to be right 80 percent of the time” and “if you aren’t making mistakes, you aren’t trying hard enough.” So the first lesson is that, once an appropriate investigation of the facts and law is complete, an effective lawyer can’t be afraid to be wrong. Even when the law is uncertain, good lawyers give bold and specific answers that invariably help clients make better decisions. The second lesson is that, because the law is a blunt instrument, a business solution to a legal problem is often far better than a legal solution. Lawyers need to be more than just a legal resource for their clients. And that leads to the third lesson – a lawyer’s critical thinking skills, and not the lawyer’s ability to recite cases or rules or code provisions, in the end deliver the most value to the client. My students are constantly challenged to improve their critical thinking, because that’s what in the long run will make them the most successful in their chosen careers. edu douglas.smith marquette Douglas O. Smith, Marquette University Law School, Milwaukee. 1 A. Colvin, Economic Policy Institute, The Growing Use of Mandatory Arbitration at 4 (Sept. 27, 2017). 3 A blog post by Seyfarth Shaw LPP said that, in 2016, 8,308 FLSA actions were filed, more than any other kind of employment litigation, with “virtually all … filed and litigated as class actions.” Seyfarth Shaw LLP, What 2016 Workplace Class Actions Filings Suggest Employers Are Apt To Face In 2017 (Feb. 6, 2017). 4 Anchem Prods. Inc. v. Windsor, 521 U.S. 591, 617 (1997) (citing Mace v. Van Ru Credit Corp., 109 F. 3d 338, 344 (7th Cir. 1997)). 5 Justice Ginsburg referred to the “enforcement gap” in her dissenting opinion in Epic Systems Corp. v. Lewis, 138 S. Ct. 1612, 1647 (2018). 6 Epic Sys. Corp. v. Lewis, 138 S. Ct. 1612 (2018). 7 29 U.S.C. §§ 151-169 (1935). 8 9 U.S.C. §§ 1-15 (1947); 9 U.S.C. § 6 (1988). 9 344 N.L.R.B. 2277 (2012). Relying on Epic Systems, the NLRB overruled this decision in Costa Mesa Cars Inc., 366 N.L.R.B. 154 (Aug. 6, 2018). 10 823 F.3d 1147 (7th Cir. 2016). 11 29 U.S.C. § 157 (1935). 12 Epic Sys. Corp., 138 S. Ct. at 1619. 13 Id. at 1633 (Ginsburg, J., dissenting). 15 Id. at 1646 (Ginsburg, J., dissenting). 17 Id. at 1621 (emphasis omitted). 19 Id. at 1638 (quoting NLRB v. Alternative Entm’t, 858 F.3d. 393, 414-415 (6th Cir. 2017)). 20 Id. at 1639-40 (Ginsburg, J., dissenting). 21 Id. at 1636 (Ginsburg, J., dissenting). 22 Id. at 1641 (Ginsburg, J., dissenting). 23 Id. at 1646 (Ginsburg, J., dissenting). 25 AT&T Mobility LLC v. Concepcion, 563 U.S. 333 (2011); Kindred Nursing Centers L.P. v. Clark, 137 S. Ct. 1421, 1426 (2017). 26 Ackerberg v. Johnson, 892 F.2d 1328 (8th Cir. 1989); Fisher v. A.G. Becker Paribas Inc., 791 F.2d 691 (9th Cir. 1986). 27 See, e.g., Robert K. Sholl & Christian A. Jenkins, Agreements to Arbitrate Statutory Employment Claims, 71 Wis. Law. 15 (April 1998). 28 29 U.S.C. § 216(b). 29 Wis. Stat. § 109.03. 30 AT&T Mobility LLC, 563 U.S. at 348. 31 See 9 U.S.C. § 10 (1947). 32 Epic Sys. Corp., 138 S. Ct. at 1632. 33 Ledbetter v. Goodyear Tire & Rubber Co., 550 U.S. 618 (2007), was, for example, effectively overruled by the Lilly Ledbetter Fair Pay Act of 2009, Pub. L. No. 111-2, 123 Stat. 5. 34 Epic Sys. Corp., 138 S. Ct. at 1622; 9 U.S.C. § 2 (1947). 35 See Jeffrey M. Salas, Unequal Bargaining Power: Navigating Arbitration Agreements, 87 Wis. Law. 30 (Nov. 2014). 36 Epic Sys. Corp., 138 S. Ct. at 1624. 37 See, e.g., California Labor Code Private Attorneys General Act, Cal. Labor Code §§ 2698-2699.5. 38 See Perry Cooper, Class Arbitration: Business Kryptonite or ADR Unicorn?, Bloomberg Law, May 2, 2017.